Looking for comfortable, confident and convenient dental care? You've come to the right place! From the minute you walk into our office you will notice a difference, whether it's from the friendly greeting you will receive, the complimentary Wi-Fi throughout the office or the TV's in the reception and treatment areas. We care about you, your family and your friends, and we're here to help you achieve your healthiest, brightest smile. At our office, we know every person's dental needs are unique. That's why we offer a comprehensive selection of treatment options in a comfortable, convenient atmosphere. We're confident we can provide superior dental care that no other dentist in Dalton can provide. The Mission of our office is to give each patient a clean, sterile, comfortable, and relaxing environment while providing the best dental care available, utilizing quality materials and the most up-to-date technology dentistry has to offer. We will try to communicate in a manner that will allow for effective, open and clear communication between patient, staff and Dr. Ragsdale. We will strive to get your mouth into optimal condition. But how long it lasts after you have the treatment is entirely up to you, with our help, because oral and dental health is a continuing team effort. 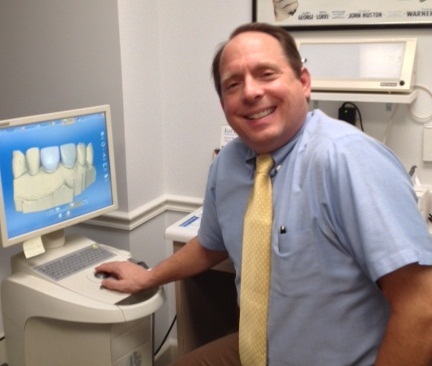 Discover a new dental experience at Dr. Kevin Ragsdale's office! We look forward to caring for you and your family's dental needs. Please click here to read a short Biography on Dr. Kevin Ragsdale. Read more about Kevin L. Ragsdale, D.D.S, P.C..